An anonymous, but reliable, source has informed us Jay Leno was spotted filming for Top Gear's Star in a Reasonably Priced Car segment today. 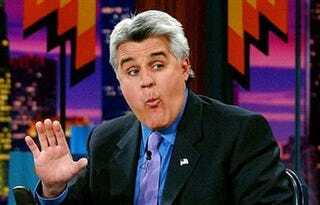 Jay Leno on Top Gear? Sounds like he's enjoying his "retirement."